I’ve watched 5 straight episodes of the latest TV series “Designated Survivor,” another political thriller. If Francis Underwood is one nasty U. S. president not by accident; Tom Kirkman is one very gentle and a righteous one. Now, is it just me and my evil side that I am more fascinated with Frank’s exciting ruthless plotting; than the very soft leader Tom? Or when it comes down to real life, I would rather be lead by a man who is thorough, makes mistakes, but at the time when it matters will make the decision. I feel bad that a good man is boring. I have to admit that in every end of each episode there is something that hooks me to see the next. Netflix only had 5 episodes otherwise I could have continued seeing everything and call in sick for work the next day. There are moments when Tom’s too much kindness is just chokingly too much; but as I examine my heart isn’t that how it should be, well I like people being good but at the same time strong and decisive at the right moments. It is not easy to lead people who has so much opinion and don’t want to be lead. You can’t please everybody so they have to go down to a road that they compromise to decide on what’s best for all and a path that leads to progress and coming from good intentions and love. I love eating and watching television and who knew it could actually kill you! I was enjoying a mouthful of food and watching one of my ultimate favourite television series, Top Gear UK (with Jeremy, James, and Richard) from Netflix and a scene where James slipped from a wood plank in Bolivia just chocked me because I laughed so hard. It was my first time to experience chocking and I really don’t know what to do except for the fact that I have to stop laughing and clear the air passage so I can breathe. If I was not able to recover I could have died on a Friday the 13th, how very mysterious, hilarious, and lame. 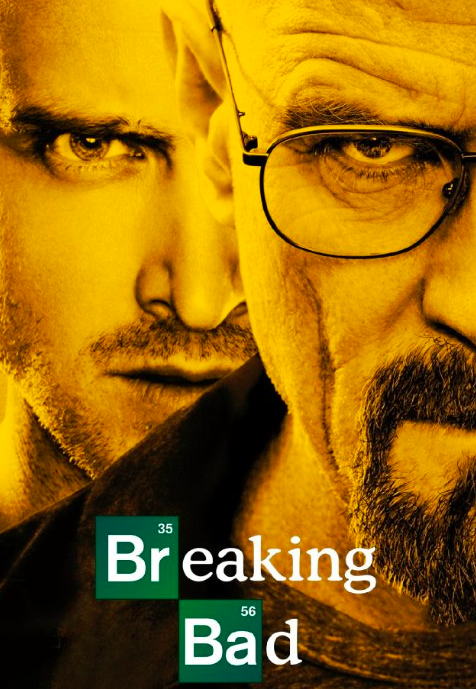 I’m doing sort of a marathon for the “Breaking Bad” TV show and I got to say I could understand why it got noticed on awards and raving admiration from the viewers; it’s gripping (suspense) and sad (drama)! I just hope people liked the fantasy (entertainment and simple play in the imagination) of actually doing a bad action but not the idea of having to relate or thinking of doing such crimes like cooking crystal meth, doing drugs, selling illegal substances, murdering people, lying, stealing, hiring prostitute, justifying that the money earned from wrong means will raise a decent family, and making use of the last thread of life or terminal cancer illness is a good enough reason to just leave the bad stuff behind – clean exit. The show probably portrays reality to other people or in some way a reflection on how we all make mistakes and wrong decisions. It’s not about being judgmental but we have our own responsibilities to strive to do the right thing. Doing good and doing bad is equally the same effort, it is our thinking and belief that mess it all up. We are creative, intelligent, and beautiful individual and we just have to find our centre and persevere to break out from becoming or being bad. We are intrinsically good. If you’ve watched the show, I’m still in Season 2, the main character who is a Chemistry Teacher genius was growing into becoming a bad person. It takes hard work; and if it is the real world and you are a genius, there is absolutely a way to do things the right way. He’s actually planning that his unborn child Holly will grow up from meth profit? Is it enough to justify that men died and he supplied the addiction of various people for the sake that Holly will grow up with decent money? My mom cheated on my dad. She had a relationship with a married man as her vehicle to get out of the Philippines to earn decent money in United Arab Emirates so she may financially support my education and of my 2 younger siblings. At first I didn’t believe about the lover until I confirmed it. I was mad at her, because I know she is smarter than using her femininity in exchange of decent living. She was a businesswoman until the business went bankrupt. Her sacrifice of indecency gets me and my sister an education. I was like Holly. I vowed that I will never become a mistress and destroy a family, never use my being a woman to get me easy money, and I shall be responsible for my action to never cause harm to anyone. I can personally vouch that if we really want to not do bad things, we have the capacity to, it is not impossible, it is hard, but not impossible. Is it a heaven’s humour that I feel something, so I thought is love to a married man, he was my ex-boss, yes I resigned before I make the mistake of breaking bad.